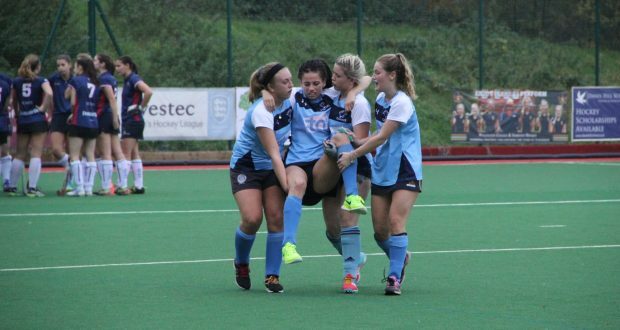 Kingston University’s women’s hockey team suffered a painful 3-0 defeat against Sussex after illness and injuries meant two players were unable to play and another was carried off mid game. The team were optimistic not to let the defeat dampen their team spirit, despite an own goal by the goalkeeper in the first half of the match. 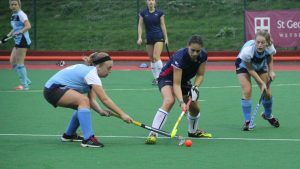 Captain Hannah Denison was eager to forget about the game and move onto their next match against Chichester in two weeks’ time. “What’s done is done. Next time we meet them it will be away at their place so hopefully we’ll be back up to full strength with the whole team and then we can show them how it’s properly done,” she said. Kingston defended strongly during the first half of the game, equalising Sussex’s strong attack tactic but momentum quickly ran out. Sussex stole the tense match in the last five minutes, scoring two goals from a penalty and open play immediately afterwards. Despite playing with only 12 players instead of their usual squad of 16, the two fullbackers, Ashley Nesbitt and Maddy Robinson, worked hard to compensate by consistently getting the ball out of the shooting circle. 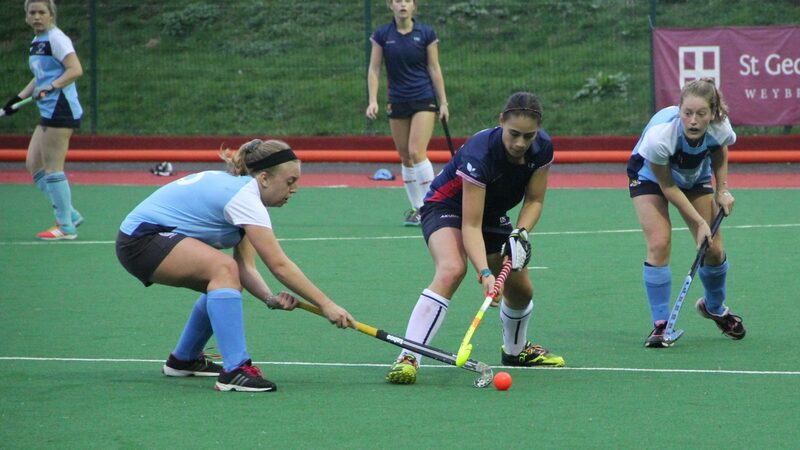 The second half further reduced the team when Izzy Pitceathly was whacked with a hockey stick in the knee by the opposition and had to be carried off the pitch by her teammates. “After Izzy got hit and injured we went down to just 11 women, and in a tight game that is literally end to end. It is really difficult to keep up the tempo and keep the girls running because they are just knackered and no one can get a break,” said Denison. Several of the players did not play their normal positions, including Denison who usually plays centre distribution but had to sit out due to a torn Achilles heel. Others had to miss the game entirely because of busy university schedules. Their loss could potentially jeopardise Kingston’s place in the middle of the BUCS league table. “If we end up at the bottom we could be relegated but we’re at the middle of the table at the moment so I think we’ll be alright,” said Denison.